It’s been over a year since I last reviewed the AVerMedia Live Gamer HD2 and fell in love with internal capture cards for recording and streaming my gameplay. By installing the card directly into an open PCI-E slot on my motherboard, the Live Gamer HD2 was able to utilize the powerful components in my PC and create a quality broadcast at 1080p 60 FPS with virtually no latency. It was great for its time, but gaming continues to evolve and with it the user’s needs. Enter the AVerMedia GC573 Live Gamer 4K, an evolved product that I firmly believe dethrones Elgato’s long reign as the king of gaming capture cards. Retailing for $375 CAD, the GC573 Live Gamer 4K is AVerMedia’s latest flagship capture device in their new 4K lineup of products. While each device has its specific niche, whether it be portability or 4K passthrough, the Live Gamer 4K stands out by giving users the ability to capture or broadcast their gameplay with the widest range of resolutions and speeds currently offered on the market. The card can record gameplay at 4K 60FPS, 1440p at 144FPS or even at 1080p 240 FPS. While these are very impressive specs for a 4K capture device, the true highlight feature of the Live Gamer 4K is that the card also features support for HDR recordings and HDR passthrough, unlike its major competitor the Elgato 4K60 Pro. However, the catch to all of this is that the user needs to have a powerful enough PC to run the card effectively. While the Live Gamer HD2 featured a driverless setup and a respectable minimum spec, the Live Gamer 4K is substantially more powerful and requires a bit more work to setup. First, the user needs to have a PC operating off of Windows 10 x64, with a CPU equivalent to or higher than an Intel Core i5 6000 series, as well as a GPU equivalent to or higher than an NVIDIA GTX 1060 if they want to utilize the full performance of the capture card. If the user meets the minimum spec, then the installation process is as simple as installing the Live Gamer 4K into an open PCI-E Gen 2 slot on their motherboard and installing the latest set of drivers from AVerMedia’s website. 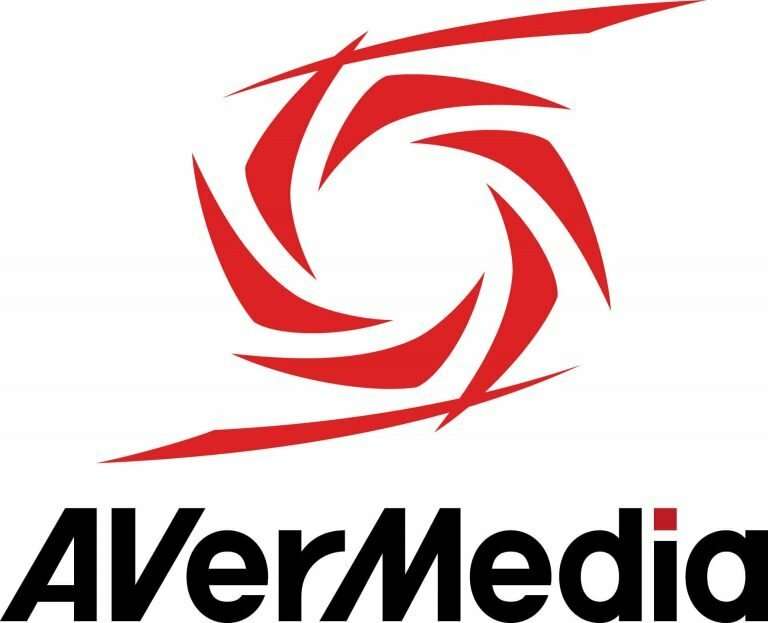 While installing the drivers I recommend users also take the time to download AVerMedia’s RECentral 4 software from their website. Compared to previous iterations of the software, RECentral 4 has undergone a massive overhaul of features and optimization to rival the current offerings from my personal preferred broadcasting software, OBS. Users can simultaneously record and broadcast at variable bitrates, freely change between sources and scenes using the new overlay systems or even take advantage of live editing to clip out your favourite moments of your latest stream in the highest quality possible. However, my favourite feature has to be Chroma Key. One of the last things on my broadcasting gear checklist is to purchase a green screen, but with Chroma Key I can now use any coloured screen or cloth I have available and cut out the background surrounding me by isolating its colour hue. A great feature, especially for any amateur broadcaster on a tight budget. 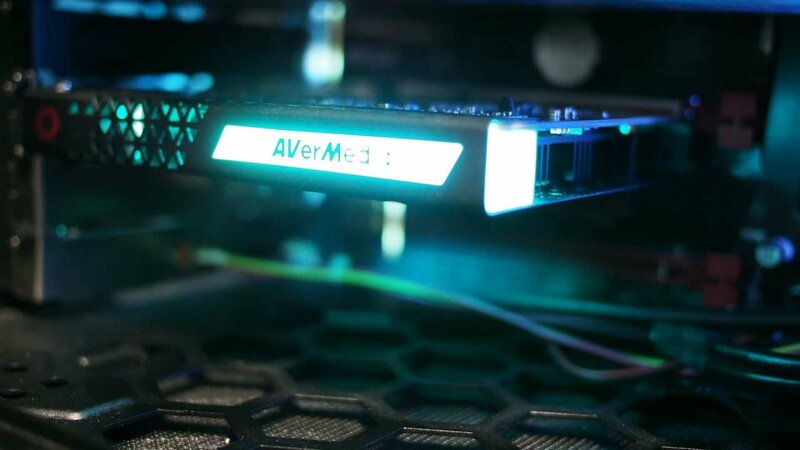 The last thing I want to give kudos to AVerMedia for is the Live Gamer 4K’s RGB lighting system. While it seems stupid to give praise for this, AVerMedia didn’t just put RGB in the card so it can light up all colours of the rainbow inside your window panelled desktop, they actually made it work as an error code system as well. Is the card flashing red? Then there’s a hardware failure somewhere in the system. Bright green? good to go. It’s a really simple, but effective way of telling the user why their capture device might not be working and pinpoints the exact problem hampering its performance. 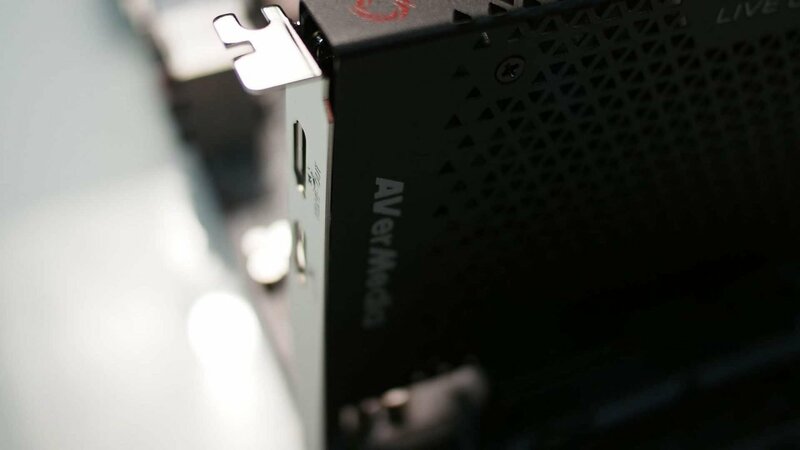 While Elgato was focusing on their lineup of broadcasting gear and Stream Decks, AVerMedia took the chance to innovate further on 4K gaming capture cards and deliver them at a cheaper price than the leading competition. The AVerMedia Live Gamer 4K is simply the best 4K capture card currently on the market, both for its amazing set of features and the ease of use it offers to professional and amateur content creators alike. 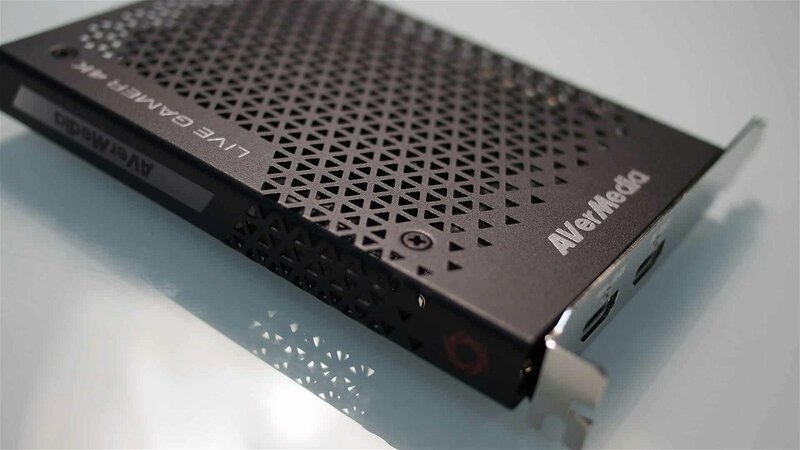 The AVerMedia Live Gamer 4K is simply the best 4K capture card currently on the market, both for its amazing set of features and the ease of use it offers to professional and amateur content creators alike.